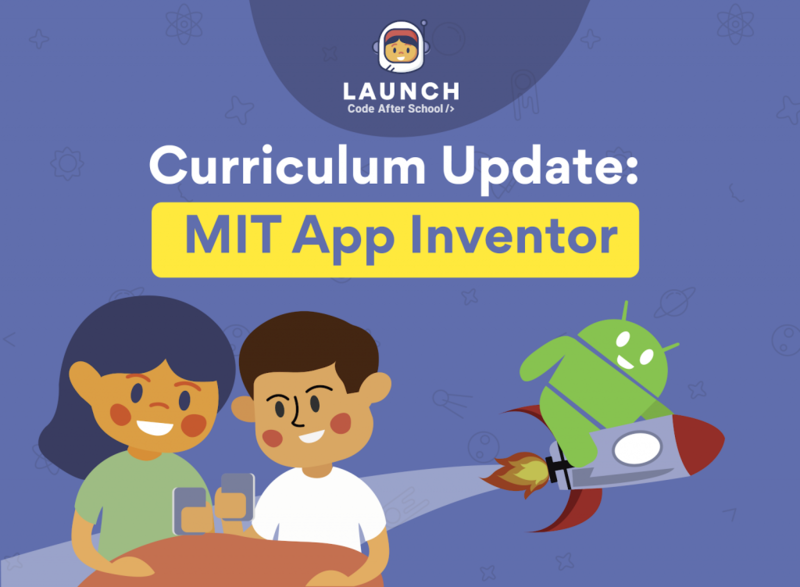 We are excited to introduce MIT App Inventor to the curriculum at Launch Code After School! With this new curriculum your child will learn how to build and develop fully functional Android apps that can be published on the app store. Having such skill can help your child build a foundation for confidence in today’s technologically advanced world! Your child will learn programming skills as well as the fundamentals of data and security that lay the foundation for acquiring advanced, full stack developer skills. Create their own functioning app with interactive features to use on an Android phone. Make a pet-sitter app, with several interactive screens and elements that keep score and track your progress. Create an app that can read and write data to a real database! Aside from development, the new curriculum teaches students to be aware of the role that data plays in their lives, and how to keep important data and information safe. They will learn about databases and security, while gaining experience using data management skills that real app developers use! With emphasis in cyber safety and security, we discuss how to prevent hacking attacks by explaining the reasons for protections such as password requirements, two-factor authentication and encryption. By the end of the program, our students will not only be able to create their own app, but will also be able to protect their creations and themselves. MIT App Inventor lessons are available now for current weekly students, with a 2019 Summer Coding Camp focusing on the coding for kids subject available for booking today!